The D Lillard is stylish and suits casual wear, many say. The shoe fits perfectly, according to a small number. Just like Dame’s fifth signature shoe, several observe that the first D Lillard has good traction. A few say that the D Lillard 1 has good ankle support. Many wearers say that the shoes break in easily and don’t crease. A good number of buyers just love how light and comfortable these low-top shoes feel. The shoes are perfect for walking according to several testers. A handful of buyers love the quality of the materials used in the shoe. Most wearers complain that these D Lillard shoes have poor ankle support. A lot of people report forefoot and heel slippage. The Adidas Harden Vol 3 reportedly has the same issue. A good number remark that the shoe’s lockdown is not very good; the laces keep coming loose. The shoe runs large according to many users. They recommend going down half a size. Several report that the shoes are uncomfortable to play in. A handful comment that the shoes feel heavy. A few report that the shoes are not durable. One user report that his shoe ripped after wearing it for just around 10 times. Overall, the Adidas D Lillard is a decent model for its price. The shoe performs well in some areas but also fails in others. Its sloppy fit reduces its on-court value; however, its style and comfort make it a good off-court sneaker. 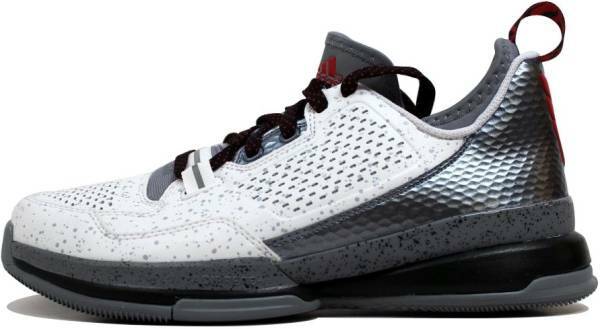 The D Lillard 1 is a decent budget model. But to me, the heel slip took away from the greatness of the rest of the shoe. The Adidas D Lillard is the first signature shoe of the 2013 Rookie Of The Year. It is built for players who rely on their dynamic jumping ability just like the Trailblazer’s high-flying point guard. Some key features are a new herringbone pattern for traction, TechFit inner bootie for a snug fit, and full-length Adiprene+ midsole for impact protection. Cushion. The Adidas D Lillard features full-length Adiprene+. This EVA midsole is designed for maximum impact protection without sacrificing court feel. Sprintframe provides midfoot stability and a smooth heel-to-toe transition. Traction. A new herringbone pattern lines the non-marking rubber outsole of the Adidas D Lillard. The wavebone pattern is tight near the toe to limit dust and durable on the heel. It gives enhanced traction control and enables you to make quick cuts in the open floor and explosive crossovers in the half-court. Length and Width. The Adidas D Lillard is advertised as true to size. However, users recommend going down half a size. Lockdown. An inner TechFit bootie provides a glove-like fit, minimizing forefoot and midfoot movement. The eyelets of the D Lillard 1 are positioned at the midfoot area, keeping the foot secure while SprintFrame provides heel lockdown. A two-tone synthetic material wraps the D Lillard’s upper, providing a simple and clean style. The material used depends on the shoe's colorway. It may be synthetic leather, suede, or nubuck. Damian Lillard specifically asked for a low-top design that he can wear off the court. Each of the colorways of the Adidas D Lillard features specially crafted rap lyrics in the insole. These lyrics are written by Dame. Dame is written on the tongue of the right shoe, and the brand-new D Lillard logo is featured on the heel of the left shoe. The stylized DL initials join together to form an "O". This logo represents Dame’s jersey number and his three homes: Oakland, Ogden (where he played at Weber State) and now Oregon. A three-striped wing completes the logo and is said to represent his crew of close friends, the Fly Guyz.